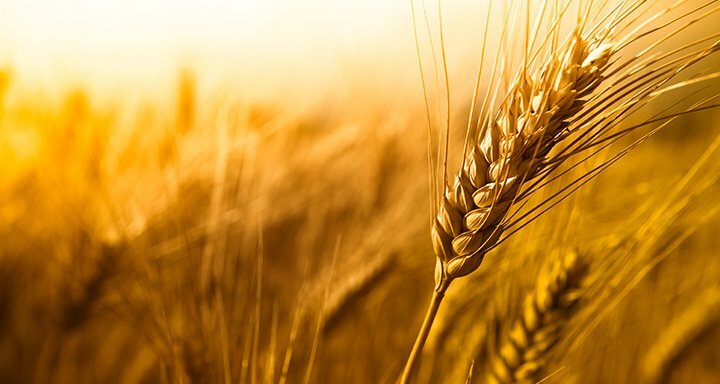 This year’s lower U.S. winter wheat planted area may help build the ‘foundation’ for higher prices down the road, according to a U.S. analyst. Speaking as part of MGEX-sponsored crop call late last week, Brian Basting of Advance Trading said the decline in winter wheat planted area – in the wake of cold and wet planting conditions on the southern Plains and an extended soybean harvest in the Midwest – should offer some support to the market, at least until more is known about the state of the crop when it begins to break dormancy and as development progresses. “A little bit of a foundation for a firmer market in 2019,” Basting said. 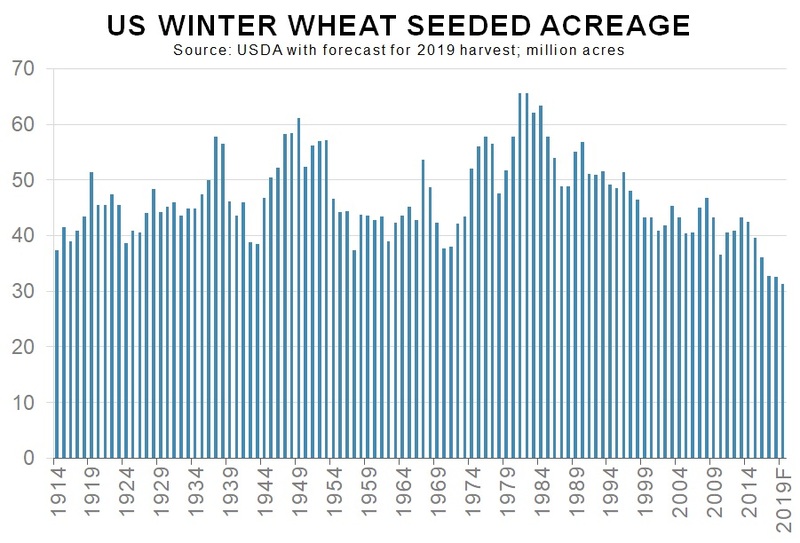 As can be seen on the graph below, the USDA on Friday estimated 2019 total U.S. winter wheat area at 31.29 million acres, down 3.8% from a year earlier and the lowest since 29.19 million acres in 1909 when records began. Area seeded to Hard Red Winter wheat was pegged at 22.2 million acres, down 3% from 2018 and about 400,000 acres below most trade guesses. The largest declines in Hard Red Winter planted acreage were estimated in California (-13% at 330,000 acres), Kansas (-6% at 7.2 million), Nebraska (15% at 930,000), and Oklahoma (-5% at 4.2 million). Area seeded to Soft Red Winter was estimated at 5.66 million acres, down 7%, while Soft White Winter planted area came in at 5.66 million acres, a drop of 3%.